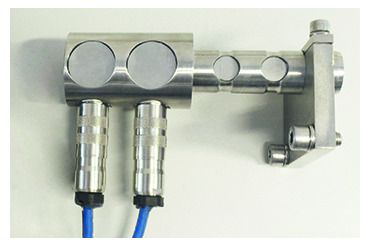 Our force transducer (SENSY 5000) is now available with SIL 3 certification. SIL (Safety Integrity Level) or PL (Performance Level) are certifications which guarantee that the safety of the sensors is provided for by an independent control mechanism. By applying system redundancy, SENSY offers a SIL 3 certified solution which is produced by using two completely independent output signals (two Wheatstone bridges, two amplifiers and two connectors) in combination with a safety PLC (Programmable Logic Controller). The use of this type of redundancy is the precondition for a high level of safety integrity (such as SIL 3) and for providing a high level of PL. Therefore, in addition to our existing range of various certifications (ATEX, OIML R60, etc. ), we can now provide SIL 3 sensors, too.